Hamilton County Commissioners say they're willing to work with the city but when it comes to making Metropolitan Sewer District decisions, they're in charge. In a resolution passed Wednesday the board agreed to set inclusion goals similar to the aim of the city's Responsible Bidder ordinance. The county says that ordinance is unfair. It also dislikes the city's Local Preference policy and says it's illegal. Commissioner Greg Hartman says this inclusion resolution is a fair compromise. "I think the ball is in the city's court right now and they need to repeal Responsible Bidder," says Hartmann. "We're not saying that the process is over but we need to see a good faith demonstration from the city in response to what we've done here." This Board will establish aspirational inclusion goals for capital projects at MSD that will encourage the employment and contracting of a to-be-determined percentage of small businesses, minority-owned businesses and/or women-owned businesses for construction and/or general services. This Board will contract with the Port Authority and/or a reputable professional services firm to monitor the aspirational inclusion goals established for MSD capital projects by conducting outreach programs and tracking, monitoring and preparing participation reports on inclusion goals. This Board will authorize a funding mechanism at MSD to support existing workforce preparation programs such as pre-apprenticeship or vocational programs at a pre-determined funding level annually to encourage enrollment in these programs as preparation for job training and employment with local businesses and contractors in order to provide a qualified workforce for the $3 billion capital program at MSD. If the city doesn't repeal responsible bidder and local preference, the county will continue suspending MSD projects. Those projects are required by a federal mandate, meaning the sides could still wind up in a courtroom. Commission President Chris Monzel says, "The biggest issue that I have with all this is that the county is the one who leads and sets the policy for Metropolitan Sewer District. And we're not on the way to court on ourselves but it's on the backs of City Council to pass these ordinances and that, to me, is where the blame should fall if we do end up in court." The city and county have been at odds for months over who gets to make hiring and procurement rules. The county owns the utility but it's operated by the city. Meanwhile, Cincinnati Council member Charlie Winburn also wants Responsible Bidder repealed. He says figures he's received from MSD indicate 649 jobs have been put on hold because of the standoff between the city and county. He says that's 67 construction contracts totaling $152 million. 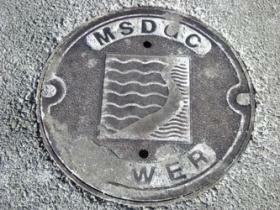 Could sewer district hiring policies be headed to court? Hamilton County Commissioners are growing increasingly frustrated with Cincinnati leaders over which entity gets to set hiring policies for the Metropolitan Sewer District (MSD). Commissioner Greg Hartmann is proposing the two sides come up with inclusion goals, incentive programs, and a way to support apprenticeship programs. "I'm prepared to go to court if that's what it takes," says Hartmann. The local hiring policy passed by City Council is illegal and the responsible bidder program is flat out discrimination against non-union shops." Cincinnati and Hamilton County have been locked in a battle for more than six months about the bidding rules for Metropolitan Sewer District (MSD) construction projects. The county created and owns the sewer district, so it argues state and federal procurement guidelines must be used. But Cincinnati says since it operates MSD, and the city's bidding procedures must be followed.